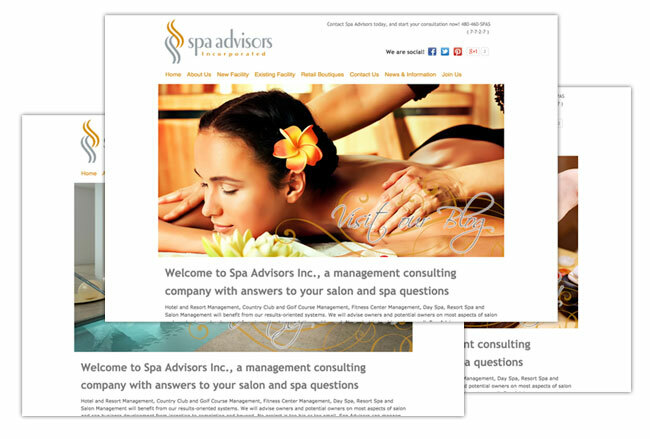 Developing a Strong Web Page for Your Salon - Spa Advisors, Inc. Developing an effective web page is one of the most important marketing tools you will have in your arsenal. Your web page will be accessible 24 hours per day, 7 days per week, and 365 days per year. Potential guests can peruse your web site at any time and determine whether your facility is the right fit for their needs. For this reason, it is imperative that your web page makes a powerful statement to current and potential guests. Have you ever heard the say “Garbage in, garbage out?” This saying holds true in the development of a web page. You must put the time, effort and research into the work to make sure your vision is understood. More and more individuals and businesses look to the Internet to do research, learn, evaluate and investigate. Making yourself easy to find and making a great first impression will lead many to your facility. No other low cost tool touches as many potential guests, educates and informs as does a well-done web page. The following is a list of tasks you will begin with during the planning process. Most are simple and take very little time. Again, be thorough and do your homework. The time and effort you put into the page planning, the better the outcome will be. Write everything down and be sure you can show strong examples of likes and dislikes. What image do you want to portray on your web site? What web pages do you feel portray a similar image? How did they do it? Secure web addresses In order to have a web page running on the Internet, you must secure web addresses. These are procured through a variety of sources such as GoDaddy.com, Dotster.com and many, many others. You can go to any of these or many other sites, type in a potential web address and see if it is available. If, for example, your salon name is Mary’s Beauty Salon, you might look for MarysBeautySalon.com. If that name is unavailable, you may choose to add your city. Next, try MarysBeautySalonScottsdale.com. You may want to get a few addresses, all of which would be a likely search. You will be able to point each of these addresses to your home page. You will pay a yearly fee for each address. You may want to shop around for rates. Peruse numerous web sites related to the Salon Industry Spend several hours looking at numerous salon web pages. Look at every local area competitor’s page along with successful salons across the country. What pages do you like? Why? Make a list. On one side puts “Like” and on the other page put “Don’t Like”. List each page under one category or the other. Add the ones you like to your computer’s favorites so you can get back to them easily. Look at photos, image portrayal, pages and tabs, social media presence, blogs, etc. Look at fonts and colors also. Look at every competitor’s web page or Facebook page Learn everything you can about your local area competitors on their web page, Facebook, Twitter and Pinterest accounts. Print their menu of services, look at their pricing, learn what products they use, do they employ technicians or rent space, etc. This is the beginning of your competitive analysis and the information will help you later. Search other industries web sites too! Do not feel that your guidance can come only from industry pages. Often you will find amazing web pages for restaurants and retailers that have a look and feel you like. You likely have a list of pages you go to on a regular basis. Why do you like them? Are they easy to use? Are they in anyway applicable to your web page development? Do they sell products on their pages? Do they ask for guest feedback? Will a logo be provided? Information on colors, look and feel of page. Interface of salon software if applicable. Have they done this before? Make it know that you want to own the web addresses and have access to all Word Press, Google Analytics and other information at all times upon development. Have they done salon or spa sites before? Have them give examples of their work. Do they have a strong understanding of industry to assist with strong key words and links to the web page through organic, free searches in Google and other search engines? Do you feel the web developer understands your vision? Is she/he easy to contact? Do they respond quickly to your needs? Do they listen? Are they creative? Determine what look and feel you want for your web page before you hire anyone. The preparation you put into this process, the better the end-result will be. For example, if you are opening a very high-end salon, you do not want a $99 haircut and color special banner on your landing page. The web person you hire may come up with much better options but be as prepared as you can be. Create an outline. Use the guidelines we are setting here and modify as needed. Large image shot in the background which could be an amazing style or some other photograph or image that portrays the image you wish to instill in the visitor. Tabs across the top of all categories of information. Most will likely have sub-tabs further organizing information and making the view easier. For example: “Our Services” is main with “Hair Services” as a secondary tab, then sub-tabs could be Color, Straightening, Cutting, Styling and Finishing, Corrective Services. It forces organization and allows the guest to look in more detail at each item. Small tabs across the bottom with additional information likely included in the tabs above. Often, “Contact Us” and a direct e-mail link located here. Link to a “Gallery”. This may be photos of the salon or styles created by hairdressers within the salon. Box-Your address, telephone number and e-mail address should be present along with a Google Maps link or other mapping program that tells the visitor where you are located. Link to your Blog and all social media tabs and links. Make sure you can be “Liked” or “Followed” through your web page. Box-Features that are weekly, seasonal or holiday driven. “What’s Hot?” Here you may highlight a trend, a fad, a stylist or share great information. You may also choose to spotlight a new product and styles developed using the products. Box to click on for a PDF of the menu. It is so important to make it easy for customers. Most salons create a menu. It may or may not have pricing. In many salons, prices vary by technician. Have a PDF of your menu created that a visitor can print. Many people want a print version. If they can print online, you do not have to send or e-mail menus to them. If you have on-line booking, you should have a large box for that link. If gift cards are available on line, there should be a box and link. There are a variety of or icons we recommend across the top and bottom of the landing page. Repeat them at the top and bottom of every page, not just the home page. This makes the page very easy to navigate. Contact us – The page should show the telephone number and hours of operation for the salon. There should be a link to the on-line booking module and, a “send an e-mail” box that opens up an e-mail. A visitor can then type an email and ask their questions. Another recommendation is a “ Tell us how we did” section. There should be a questionnaire on this page for guests to fill out. You should also have a place to post the great reviews via links. You should change the names or delete the names of guests. Guests should be able to place a one to five-star rating, just as on Yelp. Many will not sign up for Yelp, nor do they want to be bothered. Have the same rating system within the web page. About us – Here, you must sing the praises of the facility. “Our History” is the history of the owners, vision and other information. “Our facility” would include photographs of the facility, views if applicable, photos of well-designed and enticing treatment area, and so on. “Our Staff” a sub-tab here. Every staff member should be listed by first name and last initial only with a large group photo. Individual photos can be done also, based on staff preference. Speak about each staff member with a focus on their “expertise” as that must be what helps to set you apart from the rest. Another sub-tab, “Want to be part of the team?” This should link to an application that can be filled out online and submitted. Location & Hours – Place hours of operation here but also stress that early and late appointments are available. Again, the telephone number and address of the facility along with the Google maps link should be part of this. Allowing guests to contact you with questions is very important. This allows them to feel connected from the start and they are able to have questions answered. List holiday closures if any also. We are Social – Facebook, Twitter, Instagram, Pinterest, and other sites should all link to your main web page. Blog & Feature Articles-This is something that should be updated each week with information about a special for the week, featured product, new service, new staff member. Use all of these to communicate with visitors, post open appointment slots and give incentives during slower periods. 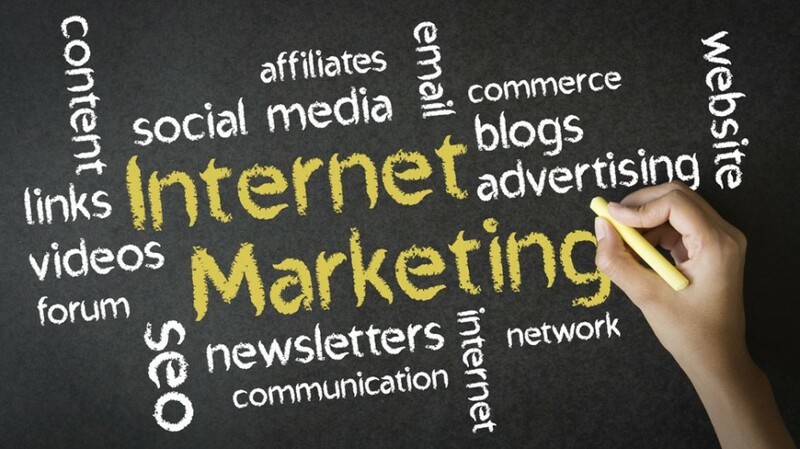 The larger the amount of followers, the more effective your marketing efforts via the web will become. Our Press – If you are interviewed for articles or on television, post links here along with the covers of the magazines. Have you created YouTube videos about your salon or commercials for your salon? You should also send out press releases when you launch new services and add new staff and include these here. Private parties and special events – Many facilities are the perfect size for someone to rent for a few hours or a day. For a set hourly rate, many facilities find that renting themselves out for hours or a day is a great revenue stream on slower days. This is not an option for all facilities, but can be after hours for most. The price per hour should be calculated in advance so that information is available in the event potential parties call in for information. A comprehensive list of party types and pricing should be prepared. Services – All services master categories should be sub-tabs such as Face, Body, Massage and Wax. Under “Face” list each service, the price and detailed information about the service, who it is recommended for, and so on. There could also be a link, based on the software that says “book it”. The guest should be able to click on each service for a more detailed description. This detailed description will inform the guest about the service, the results they can expect and more. There should also be a PDF of the menu and separate price list if you do not wish to publish prices on the menu itself. This should be able to be down-loaded from the web site, saving paper and enabling the guest to print it if they choose. It is not necessary to go into detail relating to every product used but you should have logos for each vendor placed on this page. The logos should be a link to an overview of the vendor, their products and so on. Packages will also be included on this page and will range from two services to a full day package and couples packages. Series will include three, six, or twelve like services. With a package of facials, discounts will increase based on package size. Memberships – Memberships may or may not be a large portion of the business based on the facility type. Memberships are a great way to develop a regular business stream from individuals more driven by lower priced opportunities. I always recommend limiting memberships so there to create a sense of urgency. Rewards Programs – Most software systems have the ability to create members and, to incent them based on purchases. In salons that ring guests centrally, this is highly recommended. It is not free and therefore the cost of the programs must be calculated into the financials. Guests will automatically become members unless they opt out. Every purchase will bring them closer to $5 rewards per $100 spent. Off days can also count as double point days, such as Tuesdays. Spa 101 and FAQs – Many salons and spas have this on their web site and it is easy to create. This tells a potential client what to expect in their service and answers questions they may be uncomfortable asking. You will find there are certain bits of information that many guests require. Have the questions and answers there for them. Our products – For now, this should just highlight the products retailed with a telephone number so guests can call to purchase. Eventually, selling items online should be a goal. For now, items such as new additions can be highlighted and the guest can call to purchase or, there can be a link to an e-mail that allows them to email the spa to place the order. The spa would then call the guest, get the credit card info, etc. As soon as you begin your web page project, begin writing down key words, sentences or phrases that may lead a visitor to your page. Keep a list as you will continue to come up with more as you move forward. Let me give you an example using Mary’s Hair Salon again. I would also list every competitor in my key words so when they were searched, your page would come up. You can sign up for Google Adwords and list a variety of highly pertanent search words and combinations that will lead a visitor to you. This can be very expensive if you do not set limits and do not understand how it works. This is where I highly recommend hiring an experienced web developer who is well versed in this concept. You should also list all the lines you carry such as Paul Mitchell, Aveda, etc. and, specialty services that are known by their names. For example, Brazilian Blowout. I would list Brazilian Blow Out, add Scottsdale to it, etc. Organic searches lead the visitor to you without paying. This is done over time in order to sort on page one or two of the search. You should make sure you do everything you can to exploit those options first as paying for every variable is very expensive. Make sure you limit your search area also. For example, if you are in Scottsdale, AZ, it is unlikely someone in the Middle East, for example, will want information about your salon. Limit the search to the United States. Often vacationers want to find a salon or spa so I would try not to omit those who are looking for a salon or spa visit on a vacation. Most web page hosts have analytic software that can tell you how many people are looking at your site, where they go on your site, and more. They can tell you the time of day also. Check to see what words visitors are using to find you. Also, look at their recommendations for additional words to add to your list. Once your page is up and running, go through each page, questionnaire, link and tab to make sure they are functional and whether there are modifications that can make the page more efficient, more logical or easier to navigate. Do you like the look and feel of the page? Check for typos, incorrect photos, links and so on. Make sure you have the ability to make changes, blog and post information. How does your new web page compare to your local area competitors? Make sure yours stands out in the wide array available in your area.